Instrumentation and Control Engineering: It is a multi-disciplinary branch of engineering that holds the expertise in conceptual mathematics, electronics, physics, electrical and mechanical. 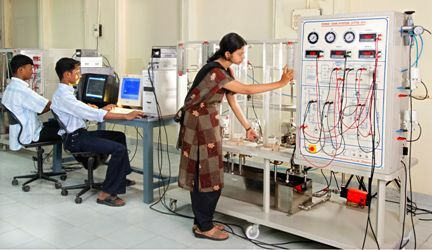 Instrumentation and Control engineering is a specialised branch of controlling, electrical and electronics engineering. Its main focus relies on the engineering principle and instrument measuring operations that are brought into the natural human practice to design and configure automated systems. You can check the complete career guidance in Instrumentation and Control Engineering by following the procedural details that are prescribed below. With the rapid increase in the market competition, the need for the accurate and exactly precise instrument development increases. Experts in Instrumentation and controlling are employed in a wide variety of modern factories and industries for setting up the factors like environmental, health prospective, energy production, manufacturing, mining, and food production. The candidates can build their career as Instrumentation Engineer or Process Engineer in heavy scale industries such as steel plants, thermal power stations, refineries, fertilizer and cement plants etc. The careers and future scope in the Instrumentation engineering are wide spread and there is no limit for the scope and careers in Instrumentation engineering. The responsibilities and tasks that are carried out by the Instrumentation and Control engineers are provided below. Maintenance and modification of existing systems. Managing and carrying out successful operations. Designing and developing innovative control systems. Managing the team work with operational engineers, designers, vendors and other staff members. Project management within time and cost constrained atmosphere. Ensuring and understanding compliance with quality standards & safety and health regulations. Instrumentation and Control engineers are responsible for Planning, designing, managing, developing, maintaining, and installing equipment and tools that are used to control and monitor engineering systems, processes, and machineries. 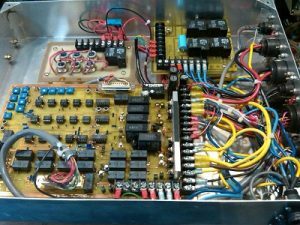 The average basic pay band that is made available to the candidates just after completing their bachelor degree in Instrumentation is ranging from Rs. 3.2~3.8 Lakh INR per annum. As per the increments in experience and technical skills, the salary of Instrumentation and Control Engineers may reach to a range twice/ thrice the current salary figure. Instrumentation and Control Engineering is a specific branch of engineering that deals with the science and art of controlling and Measurement of process variables while carrying the manufacturing and production within a specified working area. Pressure, Level, Temperature, Flow, Humidity, pH, Speed, Force, etc. are the process variables that are used in the industries processes. Control Engineering is one of the most crucial branches of engineering that utilizes the control theory to plan and design systems with the necessary behaviours. Control engineers hold a great part of work responsibilities that includes research, designing, development and control systems/devices in the manufacturing plants and facilities. For any of the queries, you are invited to contact our experts by using the comment box at the end of the post; we will respond you as soon as possible.